What's The Purpose of a Dual Mass Flywheel? A dual mass flywheel, or DMF, acts the same way a conventional flywheel acts. There are some advantages, and disadvantages to using this design. Here’s what you need to know about the purpose of a dual mass flywheel. What Is a Dual Mass Flywheel, and What Does It Do? The dual mass flywheel is primarily designed to reduce noise and vibration. The DMF is sort of a mechanical "sponge", where vibrations and harshness in the driveline are dampened by two flywheel masses that are connected to one another by a series of high strength springs. Any roughness is absorbed (at least partially) by the springs between the flywheel masses. It may help to think of a dual mass flywheel as a shock absorber: each flywheel is a solid connection, but between there is a "soft" spring that takes some of the jolt out of accelerations, gear changes, etc. One of the biggest complaints people have about dual mass flywheels is how often they need to be replaced and how expensive they are. In addition, the dual mass unit cannot be resurfaced and must be thrown away once worn. The other common issue relates to performance. Dual mass flywheels are 'tuned' for a very specific torque output. If, for example, you upgrade your vehicle's engine to produce more power (via a tuner, turbocharger upgrade, etc. ), you will increase torque output and subject the DMF to more stress than it was designed to handle. This will eventually cause the DMF to fail, but before it fails it will contribute to clutch slippage, make noise, cause the vehicle to shift roughly, etc. It’s true that dual mass flywheels offer some advantages in terms of reducing the noise, vibration, and harshness associated with "old fashioned" single flywheel clutch designs. However, it's hard to argue that the trade-off for expense and reliability is worthwhile, at least from our perspective. 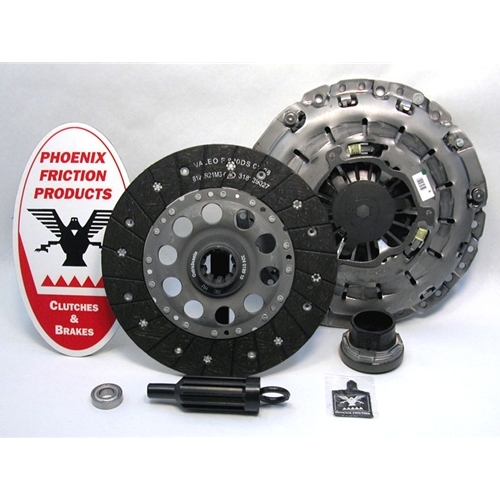 Our company often has to explain to vehicle owners why clutch replacements are so costly on vehicles equipped with dual mass flywheels. For that reason, we feel that dual mass flywheels should be converted to single mass flywheels when it's time for replacement (if possible). The cost of replacing a dual mass setup is often higher than the cost of a single mass conversion kit (including the cost of a new clutch and solid flywheel). Single mass kits wear better and very often last longer than dual mass kits (we have more options in terms friction material selection). 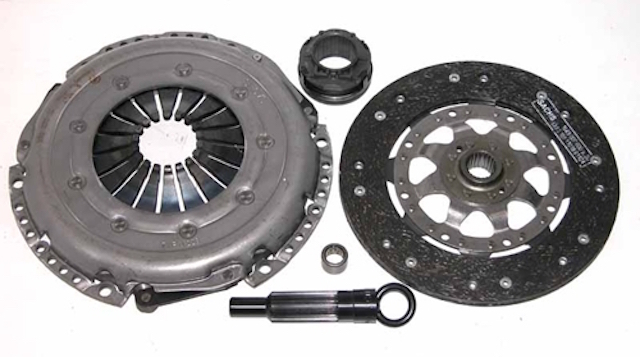 If/when you need to replace the clutch, you can just resurface a single mass flywheel. That means future replacement costs are even lower. If there's a problem with converting from a dual mass setup to a single mass setup, it's an increase in noise and vibration, which is usually only noticeable when a) the vehicle has reached full operating temperature and b) the vehicle is at idle and the transmission is in neutral. Most of this harshness can be corrected by adding an additive to the gear case, after which most people don't notice the increased harshness or care much about it. The simple fact is this: Replacing a dual mass flywheel is expensive. A single mass conversion kit is often a better value in the short term, and definitely a better value in the long run. If you're looking at a replacement DMF, be sure to investigate a single mass conversion kit.